Mary Lou Belli is an Emmy Award winning producer, writer, and director as well as the author of three books. Most recently she directed Monk starring Emmy award winner Tony Shalhoub and The Wizards of Waverly Place on the Disney Channel. On the CW, she directed The Game, the spinoff to Girlfriends, a series Mary Lou directed for 7 consecutive seasons. She directed the pilot of the Web series 3Way, winner of 2 Logo awards and the AfterEllen.com 2008 Visibility Award. With over 100 episodes to her credit, Mary Lou directed Living with Fran starring Fran Drescher, Misconceptions starring Jane Leeves, and Eve starring hip hop artist Eve, as well as The Hughleys, Charles in Charge, Major Dad, and Sister, Sister. Mary Lou received BET nominations for directing Girlfriends and One on One as well as a Prism Award for Girlfriends. 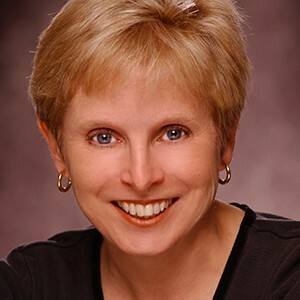 After receiving a BA in theatre from Penn State, Mary Lou acted in musical theatre and soaps in New York, followed by a Los Angeles career producing and directing theatre with over 75 play productions to her credit. She lectures frequently throughout the United States including many universities such as AFI, NYU, Northwestern, and UConn. She is the co-author of three books: The Sitcom Career Book and Acting for Young Actors andDirectors Tell the Story. She has been a judge for the Miss America Outstanding Teen Pageant, a lecturer at the Chautauqua Institute, and a panelist for Women In Film, the DGA, SAG, and AFTRA. She’s judged the Newport Beach Film Festival, California Independent Film Festival, the Sapporo Short Film Festival in Japan, and CSU Media Arts Fest. She lives in Los Angeles with her husband and two teenage children... All actors!